Marine Corps Martial Arts Program - USA Patriotism! Marines are sometimes referred to as America’s greatest fighting force because they’re constantly finding ways to overcome obstacles and become stronger war fighters. Not only does that mean incorporating various training methods into the whole Marine concept ... a physically fit individual with knowledge of Marine Corps history ... but also a Marine who embodies the leadership traits, principles, and understands warrior ethos. 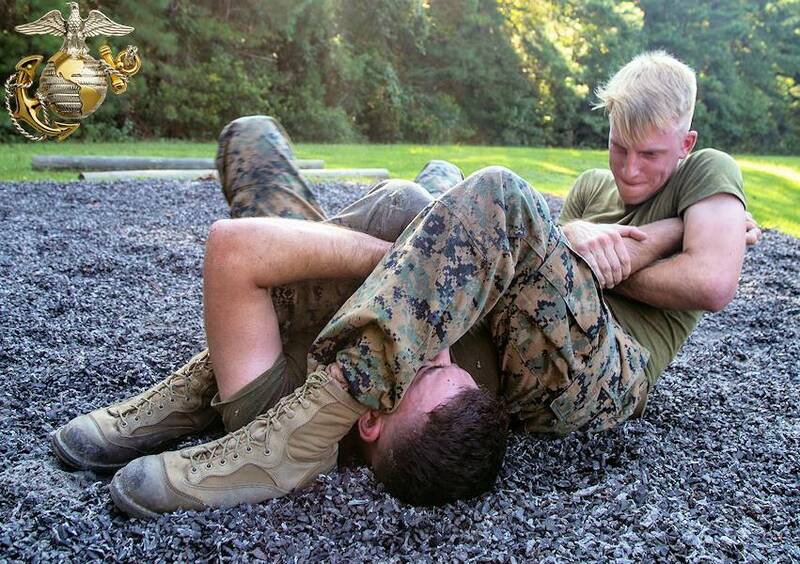 Marines from Marine Corps Installations East, Marine Corps Base Camp Lejeune participated in a Marine Corps Martial Arts Program (MCMAP) led by Cpl. Bryant Hudson, a Marine Corps martial arts instructor on MCB Camp Lejeune during August 2018. There are five MCMAP belt levels that can be earned. From the lowest to highest, the belts are tan, grey, green, brown, and black. The belts are achieved by learning the fundamentals of ground fighting, hand-to-hand combat and self-defense techniques. Leadership traits, warrior ethos and Marine Corps history are also incorporated with each belt level. “Participating in MCMAP has given me the ability and the confidence to pursue goals I thought were out of my reach,” said Lance Cpl. Nicholas Lubchenko, mass communicator, MCIEAST, MCB Camp Lejeune. According to Hudson, the discipline taught in MCMAP is what makes it a great program. 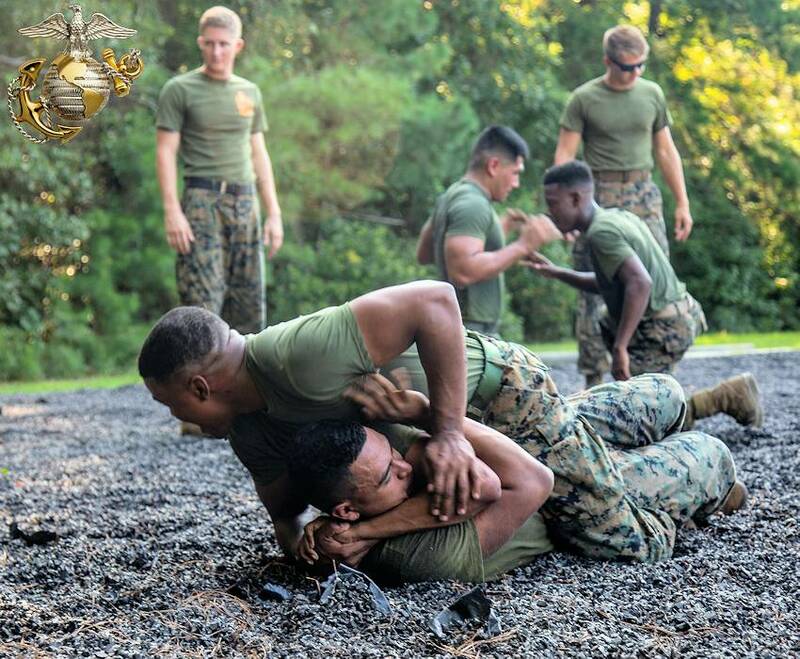 Forming a well-rounded Marine that is both physically and mentally fit is his ultimate goal with MCMAP training. “I try my very best to incorporate a warrior ethos into my class every single day and I not only harp on the Marines’ physical ability, but their thought process in why they are doing something,” said Hudson. The core values of honor, courage and commitment combined with leadership traits and principles form the character discipline that MCMAP employs. Instructors hold discussions integrating the principles of values, ethics, integrity and leadership. Character discipline stresses the importance of the Marine's place as an ethical warrior on the battlefield as well as a functional member of society.